Must be lunch-time soon; how do they always get theirs so much 'crispier' than we do at home. Somewhere in a box I've store some place I have a photo very much like this that I took over 30 years ago on my very first trip to London. The only other place I'd seen windows like this were in San Franciso. Can't say that I find this appetizing. Never have liked dead animals hanging in windows. And I'm a carnivore. 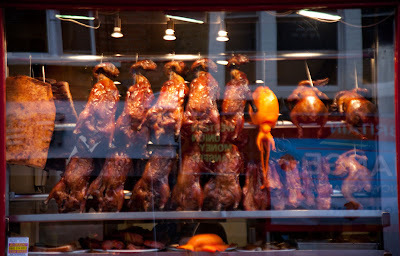 I discovered Chinese style duck in London long time ago and I love it. 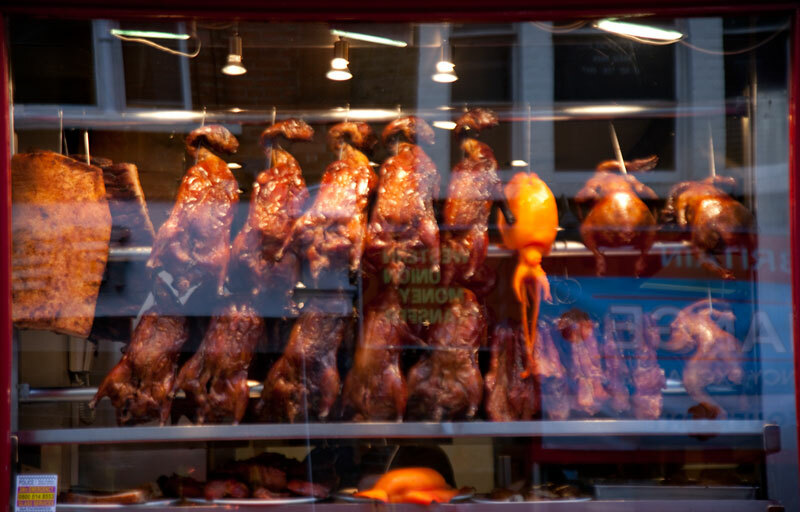 Is that a squid with all the ducks?